You may be wondering how Lokation Nation came to be, or why I am so passionate about pitching location and command. The passion for pitch location developed over the culmination of my career. Visibly witnessing success or lack thereof from pitchers over the course of 16 years makes it pretty easy to determine why some guys are good, and some are not. It always comes down to location, and one’s ability to command locations, or not. The unfortunate piece of the equation is that most pitchers are not entirely focused on their statistics as much as they are getting signed, drafted, or impressing scouts (to each their own). Contributing to their respective team and posting quality pitching results always seemed to fall by the wayside to the majority, at most every level, through my experience. There were, and still are significant opportunities given to high velocity pitchers with little feel for how to actually succeed. The majority of the time, those opportunities are quite meaningless, after watching these types of pitchers get signed, then released weeks, months, or a year later. The same goes for college recruiting. How well have you actually evaluated yourself, performance, and worth to a baseball team? Are you focusing on a school where you will play? Can you really play at that school? Are you prepared to perform a high level of competition? Velocity will not help you answer these questions. Coaches can and will filter out players who are not contributors in means of less playing time (regardless of scholarship), or potentially revoking scholarships. This is the brutal truth. A more meaningful opportunity displays a pitcher who only needs that chance to display their skills, not completely dependent on the development within the system. Unfortunately for pitchers who need help developing command, we have coaches out there stating, “no one knows how to develop command” — which is simply not true. Not the best scenario for a hard throwing pitcher who needs the significant skill in order to keep his job. This is why I mission, to help pitchers succeed and to understand its importance for meaningful opportunities. Also, to help pitchers who may be struggling to add velocity, to become a factor in competition (while working toward their velocity goals), as commanding pitch locations at a relative speed across their level of play is all that is needed to be successful. What led me to where I am? I spent 2 years time coaching a pitching staff at a Division I university. It shocked me just how ignorant pitchers were of what it meant to succeed, and how important location was. The essential thought of just getting them to buy into the idea, may had been the hardest part. I spent most parts of 2 years developing a system that allowed them to focus on location significantly within their practice, while creating a structure to hold themselves accountable on location within daily practice. For the ones that bought in, their performance and results improved. For the ones who stubbornly did not, saw continued failure. Overall, the staffs numbers improved marginally. I came to realize not all pitchers cared about success as they did velocity. They couldn’t be persuaded, and it was not fun watching them pitch, and ultimately their careers ended in college throwing 90+. This happens more frequently then maybe most have been exposed to. 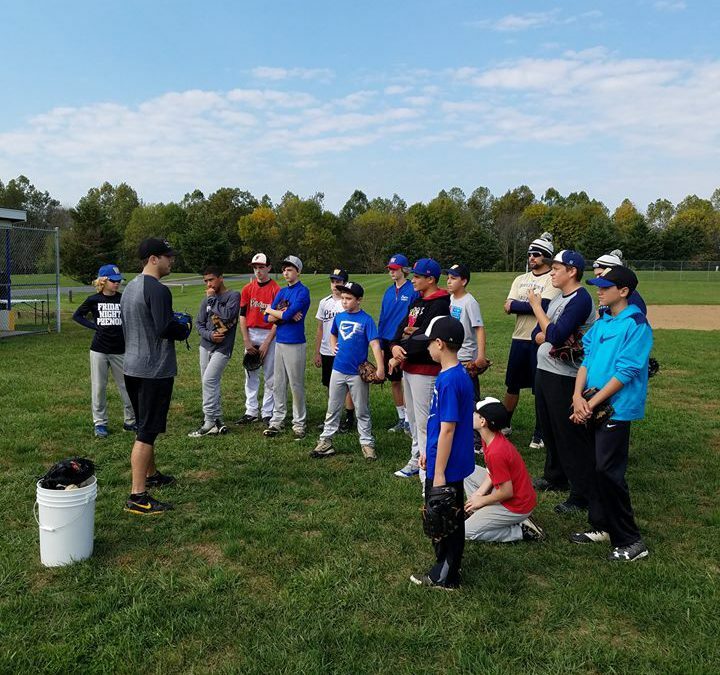 Dustin speaking to pitchers at one of his local clinics in Frederick, MD. Naturally, as has been my MO throughout my life, a fire began to to light inside me to reach more pitchers with a meaningful message. I want success for others, and to help rid the ignorance of modern day pitching culture. 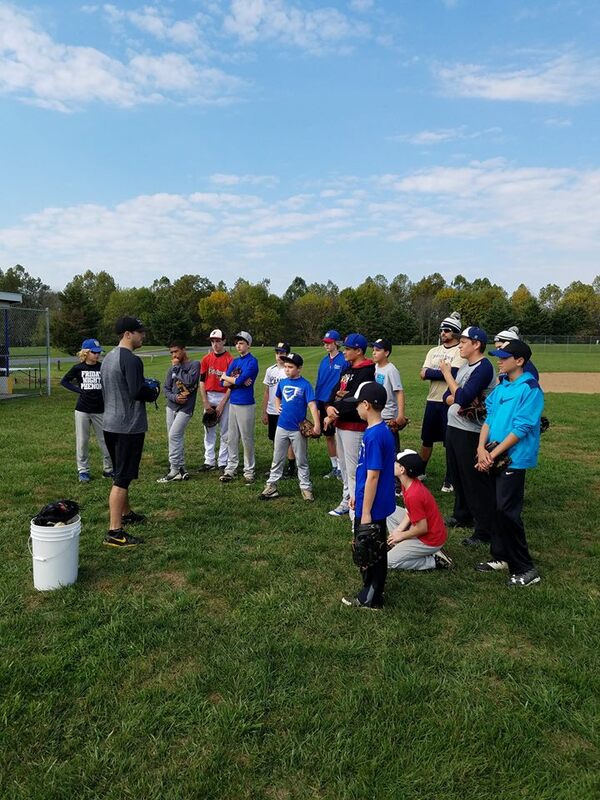 My hope is to convey the mission of Lokation Nation to more pitchers, open minded, willing pitchers who want to be a success at all parts of their career. To show humbly, that my career was not a mistake throwing in the low to mid 80’s, and chose to pitch at those speeds. There was a reason I left many 90+ pitchers in my rear view mirror, not to gloat but to prove a point, THEY could have been better, dominated even, if pitching culture embraced the immense significance of command. I have already proved it can be done at lower speeds, its more pitchers turns to do it at whatever speed their body types allow, as well as mentality allows. Success doesn’t discriminate handedness, slot, speed, or repertoire, contrary to some beliefs out there. Goals are to add and develop these pieces on top of core skill of command. I spent my entire baseball life creating a system to execute locations from 60 ft 6 inches. Commanding locations allowed me to have a career in baseball. My goal is to pass that knowledge on, mission for change, and create elite pitching prospects. I can only hope for others to be open minded, and consider other aspects of pitching aside from velocity, to lead them to a more consistent successful career.